How healthy is my church? The answer depends on one’s perspective. Some describe a healthy church from a psychological viewpoint. They evaluate how well the congregation works together as a family system. This can be a useful way to evaluate any group of people in a system. Others describe a healthy church by its characteristics. Does it have a visionary leader? Are its worship services inspirational? Has the church defined its mission statement? Is it growing numerically? One can assess church health based on how many “healthy” indicators it possesses. I look at it from a spiritual perspective. Healthy churches are those whose leadership and membership are solidly grounded in Christ. Nourished by God’s Word, they apply it to their lives. Their spiritual maturity evidences itself when they practice confession and forgiveness in their relationships with one another. What has been your average worship attendance for the last ten years? What are the trends you have observed in attendance? What is your congregation’s total number of baptized and communicant members? Are there any trends you have observed in membership changes over the last ten years? What is the total number of individual adults who regularly attend Bible study during the week? (This may be different than the total attendance of Bible studies throughout the week, since some individuals may attend more than one Bible study, and others may not attend every week but are regularly involved.) Have there been any trends in attendance over the last few years? How many lay leaders do you have? 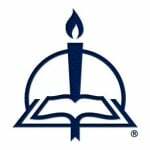 How many lay leaders are involved in Bible study? Describe your Bible study opportunities, including descriptions of what is done during your Bible studies. Briefly describe your congregation’s organizational structure. What do you believe are contributing factors that make your church healthy? What are some of the greatest strengths of your church? Every church encounters conflicts, whether between key leaders or among the membership. Describe a situation involving a serious conflict and how your church responded. If you could change anything in your church, what would it be? What do you hope to do to maintain or improve the spiritual health of your church? You can compare your congregation’s health with the healthy churches I interviewed. Check out what I learned from this study in chapter 2 of Built on the Rock: The Healthy Congregation. Then share this book with your leaders to discuss ways you can maintain or improve the spiritual health of your church, regardless of how healthy it is today. “Now may the God of peace, who brought again from the dead our Lord Jesus, the great shepherd of the sheep, by the blood of the eternal covenant, equip you with everything good that you may do his will, working in us that which is pleasing in his sight, through Jesus Christ, to whom be glory forever and ever. Amen” (Hebrews 13:20-21 ESV). Ted Kober is a Senior Ambassador for Ambassadors of Reconciliation and a Certified Christian Conciliator™. He consults and conciliates in cases ranging from personal disputes to lawsuits and church conflicts. Ted is a frequent guest speaker and teacher at churches, church-worker conferences, schools, universities, and seminaries, helping to equip church body leaders from more than thirty-five countries. He is also an adjunct instructor for Peacemaker Ministries and PeaceWise (Australia).